Have a block party with our 100-piece set of colorful wooden blocks! 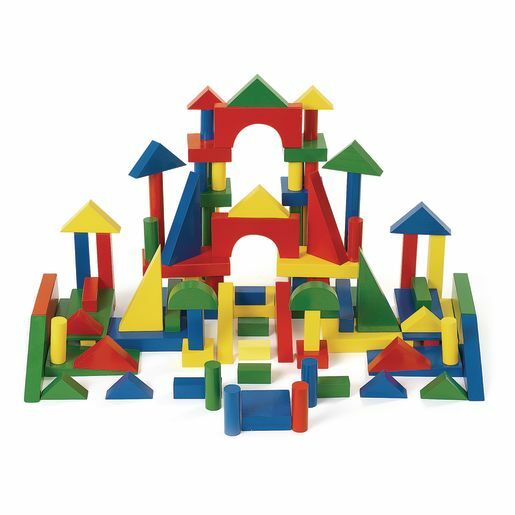 These beautiful, solid wood, high quality blocks come in a variety shapes including triangles, rectangles, pillars and ramps. Sizes range from 2-1/4"L x 3/4"W x 1"H to 4-3/4"L x 3/4"W x 2-1/2"H.
Why is our 100-Piece Primary Block Set such a wonderful addition to your classroom?